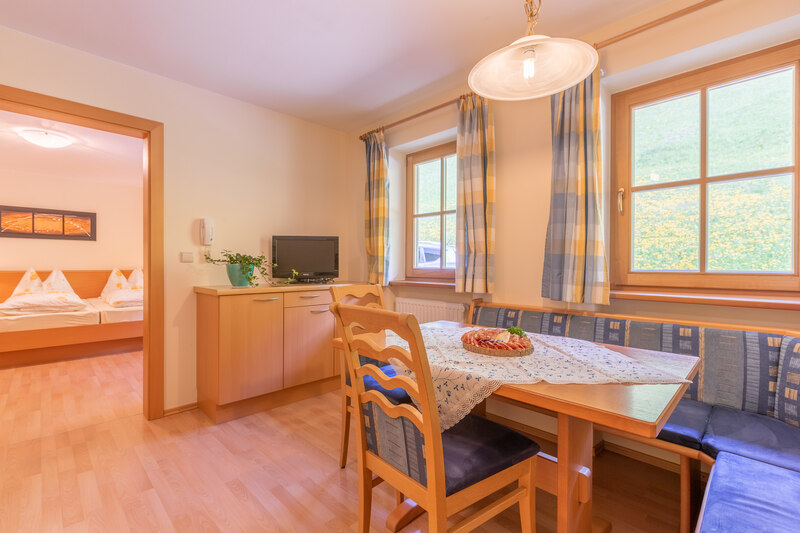 Our holiday apartments in unspoilt nature command impressive views of the neighbouring rugged summits such as Haunold, Neunerkofel or the Three Peaks from a distance. But even more important: the apartments combine all cozy comforts you will need with spacious living areas and top notch equipment. Each apartment features a bedroom with an en-suite bathroom (shower and toilet) as well as a modern living kitchen with a sofa bed and satellite TV. 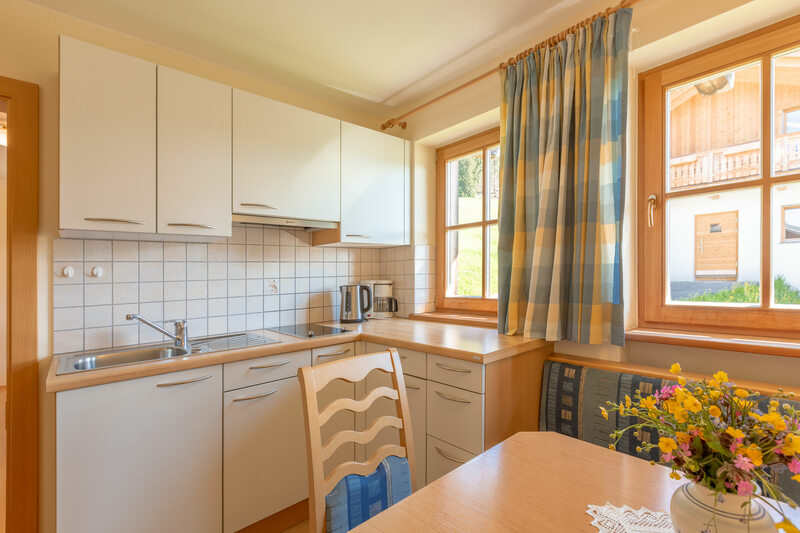 The kitchens are fully equipped with everything necessary for fine dining, including crockery and cutlery or coffee machine and hand mixer. Bed linen and towels are provided. 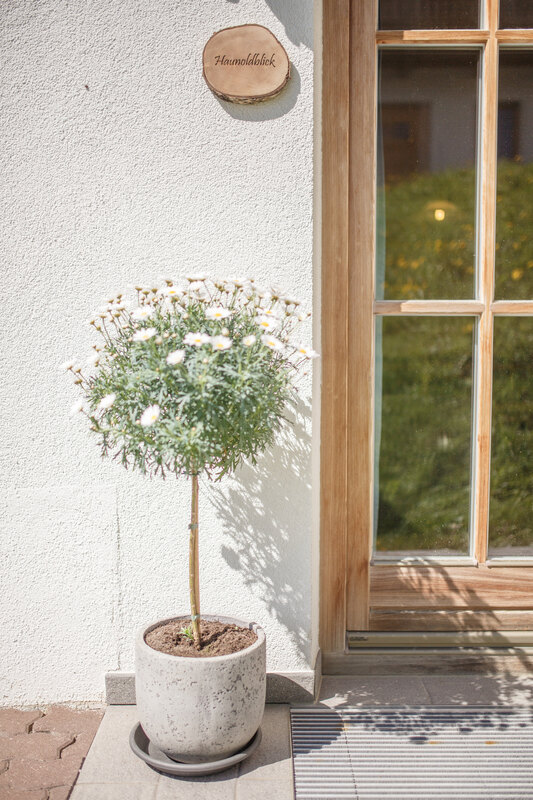 Moreover, each apartment has a balcony or garden access and is wheelchair accessible. Our younger guests will find a lot to explore outside in the garden playground: swings, a slide, trampoline and a well-loved playhouse leave nothing to be desired. After all, the surrounding meadows provide a perfect escape to discover nature displaying an amazing world. No need to worry, relax - your kids are well protected from traffic dangers that don' t exist up here. Last but not least game night addicts are well catered for with numerous board games and puzzles. Rates vary according to the number of guests per apartment. The local tourist tax is not included. Bed linen and towels are provided for free. The final cleaning will be charged with a fee of 35,00 EUR for stays of three or more days. Check-in: from 2.00 p.m. / check-out: until 10.00 a.m. Your pets are welcome! Please be aware, though, that we charge each animal with an additional fee of 10,00 EUR per day. The fee contains food for your dog or cat. 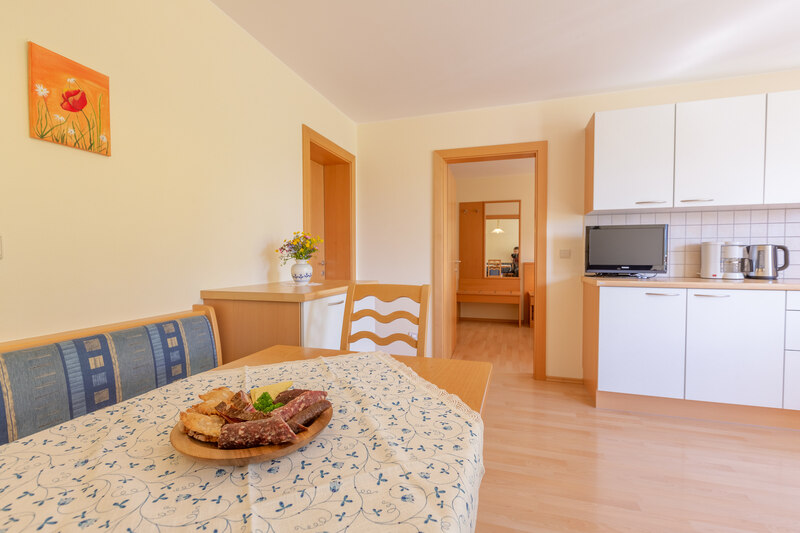 Happy days for 2 - 4 guests are granted in this 48 m² flat fully adapted to guests with disabilities. Small is beautiful: A cozy 31 m² space and bright and sunny decoration will meet each holiday desire. No need for more! 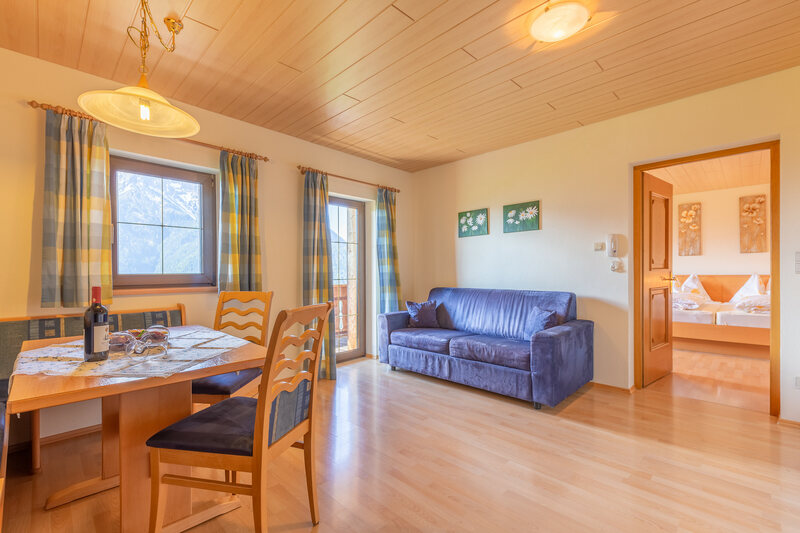 Summits at your doorstep: 3 - 5 guests can enjoy carefree holidays in this 46 m² holiday flat. True holiday home for 3 - 5 guests: This bright apartment of 45 m² features its own front door access.